"Dedicated to Exceeding My Client's Expectations." I provide an assortment of valuable information on this site for your benefit. To learn more about the exceptional service I am able to provide for you, please click on the "Learn More About ABR" link I created under the Helpful Information column. Take the time to check out my featured properties or all area listings. Fill out a dream home finder report, view details such as school reports, census, maps, mortgage calculators and more. For a professional, thorough, gratifying and pleasant experience contact me anytime. My services are defined as "Full" meaning I supply all related support and marketing of your property to gain maximum exposure and connect you, quickly with prospective buyers. 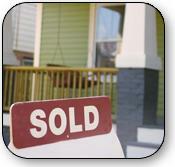 Since I also maintain a ready list of prospective buyers, I quite often am able to find an investor. Allow me the opportunity to present my complete solution. If you have purchased real estate as an investment, you have taken one of the first steps to establishing long term wealth and create additional income. Over time real estate has historically proven to be a wise investment. However, the responsibilities of being a landlord can be demanding and in today’s fast paced world many people just do not have the time to properly manage their income producing property. Keeping up to date with laws and regulations relative to the tenant landlord relationship present even a greater challenge. For this reason alone, many investors seek the assistance of a professional property management company. Additionally, many landlords underestimate the time and resources required to properly manage their investment. Dale Robbins Realty understands these requirements and I am specifically trained and qualified to manage income producing property which will ultimately help you reach your goal of success in real estate as an investment. My goal is to exceed your expectations with regard to managing your property. Through proven methodology and standard processes you will have the assurance you need that your investment is in good hands and being managed by a qualified confident professional. As a full service real estate brokerage, Dale Robbins Realty offers more than just property management. I can also provide assistance and counseling in searching for other income producing properties. Dale Robbins Realty will make every effort to ensure the accuracy of information deplayed or provided on this website. This information may be subject to errors and should be verified by the user and or their agent.